A photo challenge is blowing up social media, and transgender people have posted some amazing pictures for it. The 10-Year Challenge – or the “Glo Up Challenge” or the “2009 vs. 2019 Challenge” – is an internet fad in which social media users post two pictures of themselves: one from 2009 and one from 2019. It’s a chance for people to show off how much they’ve aged or changed… and for younger people to show how puberty changed them. Caitlyn Jenner jumped into the challenge too. And for some transgender people, it was a chance to show off what living authentically has done for them. 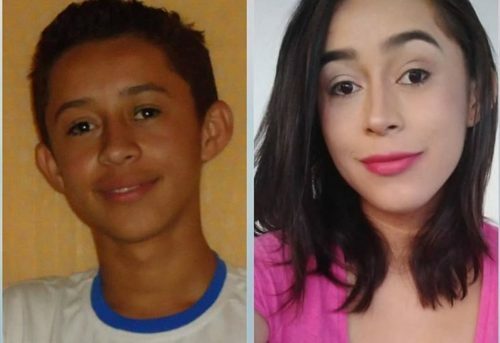 #10yearschallenge #trans Só queria dizer que se encontrar e ser você mesmo não tem preço. Sejam vocês mesmos independente do que o mundo diga! 💕🌺 E aí, mudei um pouquinho? I couldn't find anything that was in 2009, but I found something in 2008, so close enough. And one person reminded everyone that while some people have had radical changes in appearance, many people have not and that’s perfectly fine.